Security is at the heart of Telematics industry. PATEO posseses its competence in keeping software, hardware and cloud platform secure. We are the first in the industry to launch chip-scale security solution, Telematics cloud security solution as well as hardware security solution for pre-instal Telematics businesses. Your dream of a highly secured but intellegent expereice can come true with our 3-in-1 solution that integrates Linux, QNX and Android systems into one product since it will take the advantages of each system to their maxium and seamlessly combine high security with high-quality experience togather for you. Frequent occurrence of security issues in the Telematics industry has made Telematics security issue the focus of most automotive companies making use of Telematics. PATEO’s chip-scale anti-temper solution is able to provide a wide range of security audit and authentication for autonomous driving, Telematics services, in-vehicle payment related services and entertainment related services etc., thus guaranteeing a hardware level protection for Telematics security solution. PATEO is currently China's leading provider of TSP platform and related technologies, having provided Telematics security and safety assistance services to many car manufacturers and served many auto brands such as Audi AG and FAW-VW Audi, PSA Peugeot Citroen and Changan PSA, Dongfeng Peugeot and Citroen, Volvo China, Geely, SAIC, Dongfeng Peugeot Citroen, etc. And for some of above mentioned brands, we also helped to set up their own security system with our strong R&D ability and rich experience in undertaking Telematics security and assistance projects. Ensuring role-based ACL access and control over operating authorization. After 3 years' efforts, PATEO has developed MINI X, one of the world's most advanced Plug-and-Play vehicle data and safety products. It makes the following operations possible so as to maximize the value of vehicle data and driving data: identification of dangerous driving behaviors, rating of driving habits, oil consumption assessment, monitoring of vehicle location and traveling track, and monitoring of UBI insurance data, logistics and tricks of leasees. With higher complexity of Telematics terminal and cloud platform, and emerging of new technologies, contents and services, traditional SOP can no longer keep pace with the Telematics industry. Considering traditional SOP fails to meet the demand for advanced technologies, high quality and product iteration, PATEO, based on its rich experience, developed the world-leading BUG identification platform, which can identify over 65% of the bugs with hardware, software and cloud platform. The bug identification platform can help satisfy the demands for innovation, high quality and iteration if used together with PATEO's other resources, like overall, incremental, default and active OTA update of hardware, operating system, map, APPs, TSP platform, T-box, voice technology platform, content service platform, as well as product duplicating ability after 5 months upon product stabilization. 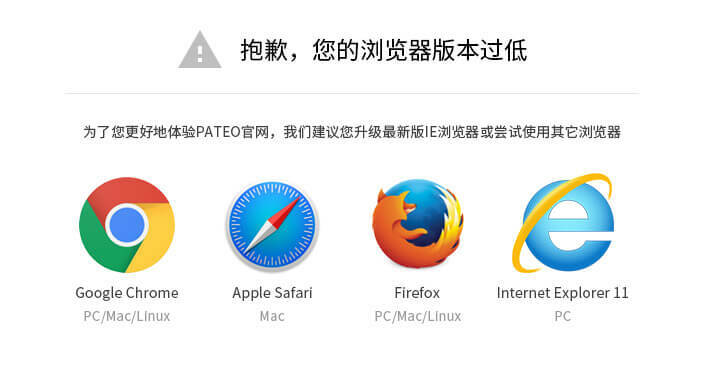 PATEO has caught up with international standards in terms of monitoring and update platforms. PATEO is providing Telematics T-Box solutions from 2010. Our portfolio includes 2G, 3G, 4G solutions. The solutions are based on Linux, and are fully configurable as per the needs of the OEM, additionally various car network topologies can be chosen to connect and integrate T-Box inside the car network. Furthermore, with close integration of telematics CP/SP services through our SDK, customers can get a lot more than traditional T-Box services available in market. The T-Box supports call functions E-Call, I-Call, B-Call (optionally with PATEO Call Center), real-time vehicle status monitoring, driving behavior analysis, stolen vehicle recovery assistance, vehicle alarm notification, trip recording, door-lock-unlock, window up-down, geo fencing, push POI and many more. With hibernation and standby current <=3mA, and equipped with 700mA NI-NH standby battery, which supports phone communication in emergencies and allows T-box eCall even when the main vehicle power is off. Capable of working in extreme conditions, with operating temperatures ranging from -20 to 75℃. Supports traditional call functions with PATEO Call Center contacted via one press, including eCall, iCall, and bCall. Supports in-car data mining, and real-time acquisition and monitoring of vehicle status data, so as to provide valid historical data for driving behavior analysis and car accidents. Big data mining enables the PATEO TSP platform to provide end users with online and offline cloud services of higher quality. Includes a wide variety of T services, such as:Stolen car tracking; Safety alert; Trip record; Remote dashboard;Remote car alarm diagnosis; Remote control: Central locking ON/OFF, window rolling up/down, ACS ON/OFF, and seat heating;Car locating;Pushing POI offline; Instant navigation. Includes an intelligent driving assistance system, which can remotely control BCM and via background software operations such as remote startup, shutdown, engaging/disengaging a gear, hitting the gas pedal or brake, etc. Features a built-in TSP NGTP client-side module, which is compatible with various TSP interfaces. Offers seamless access to the PATEO TSP network security system, PATEO network and OTA service, which allows OTA update of ECU on CAN. Includes shared Internet access, so that the in-car terminal can be linked to the PATEO T-box via USB-ECM. Includes a wide variety of T services, such as:Stolen car tracking;Safety alert;Trip record;Remote dashboard;Remote car alarm diagnosis; Remote control: Central locking ON/OFF, window rolling up/down, ACS ON/OFF, and seat heating;Car locating;Pushing POI offline;Instant navigation. So far, the system has been installed in all Geely Boyue series and Emgrand GS series. 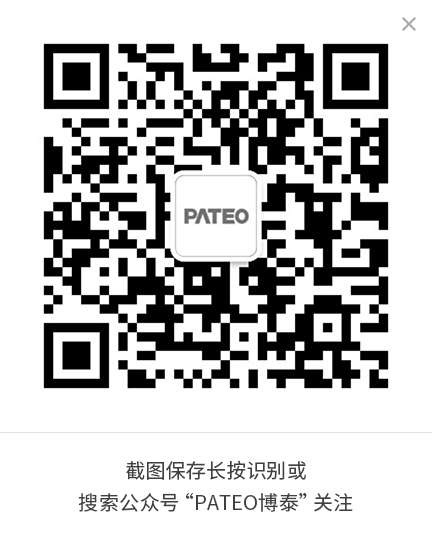 PATEO has rich experience in vehicle control, OTA vehicle data update and remote control, and owns competent security and assistance ability and perfect service network. As vehicle control and diagnosis requires high safety authentication, the system introduces two-way authentication based on previous security communication measures, so as to guarantee information and communication security during control and diagnosis.